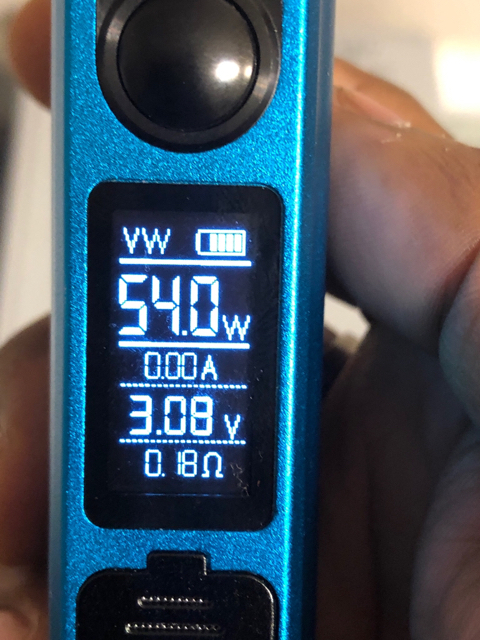 Discussion in 'General Rebuildable Discussion (RTA/RBA/RDA)' started by gsmit1, Jan 15, 2019.
i think this is gonna be the jackpot right here. If somebody else thought of it too, that's fine, but I think this is it. @KingPin! review, he directly mentioned and had a pic of the two little wicking holes on each side further up the chamber. That was a head smacking moment for me. I haven't said much in a few days because I started to get some hideous leaking upon refill and I wanted to see if I could work it out. The holes are going to be the answer. This pic is the rayon wrapped in dat white stuff I was talking about above, but that's a different post. After trimming even with edge of the base, I pulled the wick upward from the end and stuffed what I could from the bottom into the channel working my way up until it was tight, but not too tight, and then cut what was left STRAIGHT while protruding just a hair past the channels. This will stick the upper ends of the wick right into and against the two little holes. Cutting at an angle leaves the wicking loose there if it touches the holes at all. I filled it up after priming about 15 minutes ago and not one drop of gurgle or leaking and I'm up to 70 watts and 5 second hits that rock with no sign of dryness either. Something could still go wrong, but I am VERY hopeful about this. So the holes wick the pom poms on top and the channels wick the tails from the bottom with each part blocking any excess. 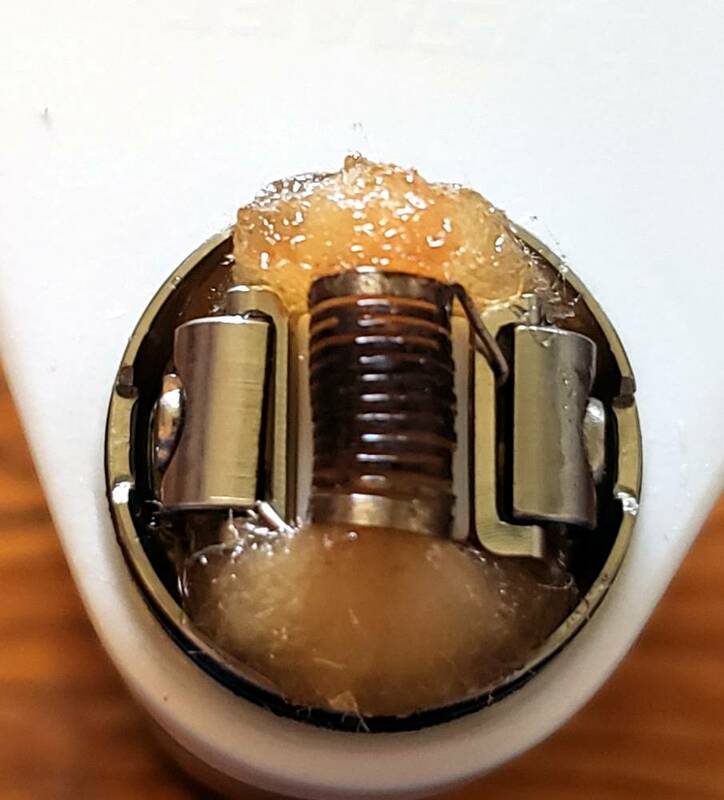 I think the pom poms could afford to be just a hair shorter, which I'm going to try next time, but I'm confident in this method of wicking the RTA. I'm certain that most of the problems I'm seeing around that folks are having with gurgling and leaking are due to not have those holes covered and liquid being pulled through while hitting it and especially with a full tank. KingPin! and ajvapes like this. I think they said the cotton ( pom poms ) should be right against the chimney...How is the flavor now? who said that? The flavor is the same, but no overwicking. The designers, Joel and Brian. just re-wicked mine, cut the pompoms to the wick retention ring. I just remembered I had a roll of this. I have so much crap, I can't even keep track of it anymore. It's Chinese so who knows, but worth a try for 2 bucks I think I got it for. gsmit1 and KingPin! like this. The one "knock" I have for the Profile, I'd like to cut the airflow a little. Just a little. I find it just right with the top holes closed. Wait, this is the rda thread right? VinnySem and ajvapes like this. Just rotate the topcap, close off as much as you wish. VinnySem and BobsHere like this. Rooster Cogburn, KingPin! 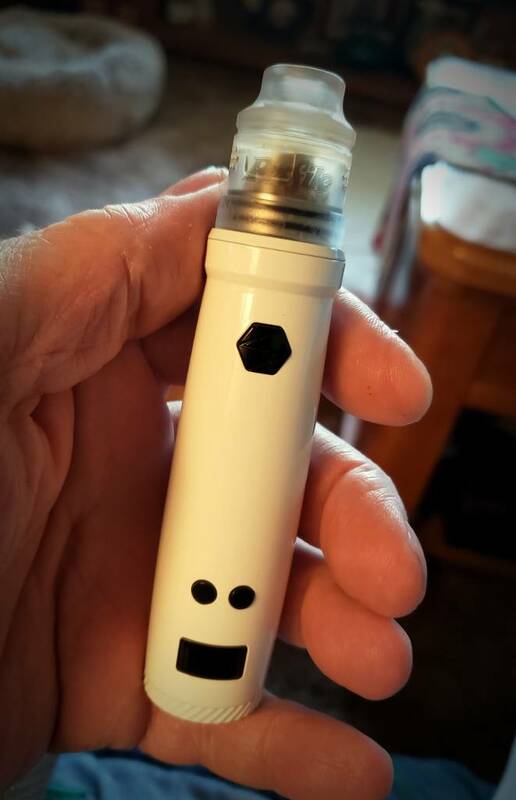 and ajvapes like this. Awww man, it's a whole new world now. Rooster Cogburn, VinnySem, KingPin! and 1 other person like this. KingPin! and VinnySem like this. ScottishDuck13, KingPin!, VinnySem and 1 other person like this. ScottishDuck13, KingPin!, BobsHere and 1 other person like this. Eugh, think I went too far in the wrong direction... pulled a chunk of Flashwicks cotton exactly in half... (i think it started off a little thinner than a cotton bacon strip) and rewick and it was perfect. 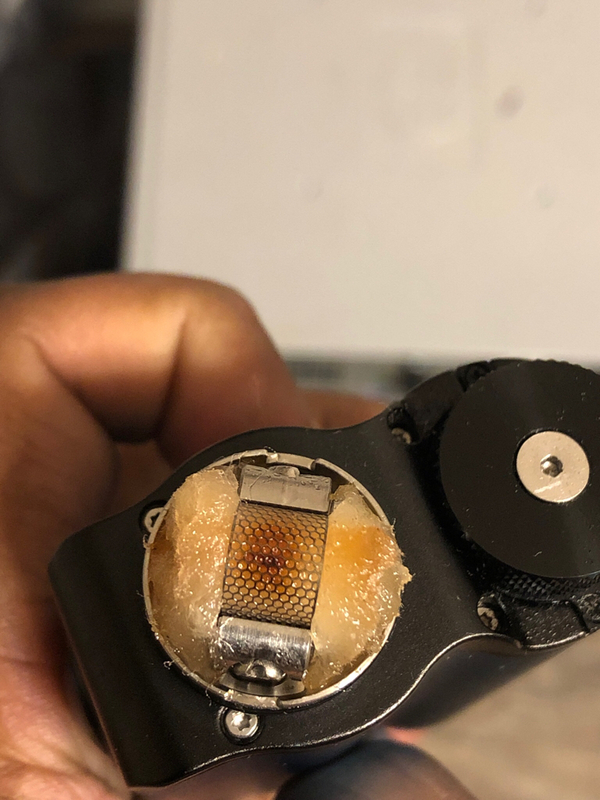 Juice coming through the middle when squonking, no dark line up the middle 3 days later when it usually shows within about 5mins, not even a darkening of juice! Was going so well until midday Sat I randomly just got a couple of hits JUST on the verge of burning out of nowhere, nothing changed at all. I turned it down a wee bit and took slightly shorter hits and it was fine. Just coming into work this morning and as I took that one last quick hit before going in it was a full on dry/burnt hit, my first on mesh... awww man, not nice at all! Still looks perfect, theres no burnt or dark spots at all, must just be not quite enough cotton and it sagging slightly. So if cotton bacon is thicker than this then half a CB should be bang on. But an extra wee tip for the RDA... i just pulled it apart to put a stronger spring in, Got one from a pen that was far too long but strong so used my wire clippers to cut it and got 3 'Profile size' springs out of the one big one. But the tip is when swapping it and unscrewing the ceramic block i noticed when I tighten the srew holding the block in the ceramic plate actually sits quite far down. However, the threading on that screw is wayyy more than is needed, so i unscrewed it 2 full turns which still holds everything in place no problem at all but the ceramic block actually sits a little higher. So that combined with the stronger spring should mean the cotton should (in theorey) never sag. Fingers crossed. But an extra wee tip for the RDA... i just pulled it apart to put a stronger spring in, Got one from a pen that was far too long but strong so used my wire clippers to cut it and got 3 'Profile size' springs out of the one big one. But the tip is when swapping it and unscrewing the ceramic block i noticed when I tighten the srew holding the block in the ceramic plate actually sits quite far down. However, the threading on that screw is wayyy more than is needed, so i unscrewed it 2 full turns which still holds everything in place no problem at all but the ceramic block actually sits a little higher. So that combined with the stronger spring should mean the cotton should (in theory) never sag. Fingers crossed. You and I are gonna get along friend. I have been thinking this very thing with a stronger spring, but haven't gotten around to trying it. I LOVE highly effective and inexpensive ghetto solutions. Good stuff. I have 5 Profiles and it is by far my favorite Squonk RDA using mesh like it is intended. But that being said, I'm always experimenting. I was gifted some notch coils, I wasn't sure what I was going to do with them but I decided to try one in the Profile and I am honestly impressed. The flavor is great and it wicks great. I always wondered what the Profile would be like as a dripper so I put one of the 22mm conversion caps on one and a solid 510 pin and it's an awesome dripper as well! gsmit1, BobsHere and Puneet Sharma like this. I put those wotofo mesh and re wicked my profile last night. Took almost 3/4 of of a cotton bacon, folded it double and then stuffed it under the mesh. Cut the cotton diagonally right alongside of mesh and boy o boy it has shown me what it is. the flavor that I’m getting is phenomenal. I was not able to put it down since then. It is back in my first row of preferred rdas.